Thanks for wanting to learn more about us. 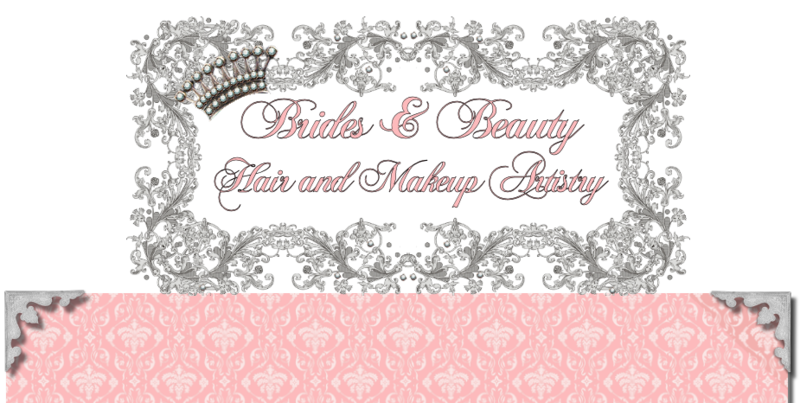 We know you want someone that is top notch, trustworthy, fun, dependable and professional for your big day beauty needs! We are a team of charming yet exteremly professional hair stylists and make-up artists with over 10 years experience in the bridal beauty industry. Specializing in up to date trends in bridal hair and makeup, and trained in speciality services such as airbrushing and hair extensions. Brides & Beauty offers an unparalleled level of expertise in designing and achieving unique, gorgeous bridal looks. Your artist will closely accompany you throughout the process of preparing your bridal look. We offer trial runs and recommend booking them 6-8 weeks before the day of. If your are pleased with your trial, you can book our services at that time. On your wedding day, Brides & Beauty will arrive on-site at the location of your choice and will create your look on the spot, saving you a time consuming trip to the salon. When you are busy making final preparations that morning, the luxury of having the salon come to you will help to greatly reduce your stress. We also cater to your bridal party, there is no bridal party that is too large or small.